The last thing you would ever expect to sea floating through the ocean would be an elephant. These Sri Lankan naval workers never expected to get a call about an elephant, but it had been swept nearly 10 miles away from shore and desperately needed help in order to get back to its home land. The Navy first noticed the elephant on a routine patrol that took place off the coast where they check the waters to make sure nothing strange or illegal is going on. When they found the elephant, they knew they would need to act fast. The elephant was struggling to keep its head above water, and was using its trunk as a make shift snorkel. 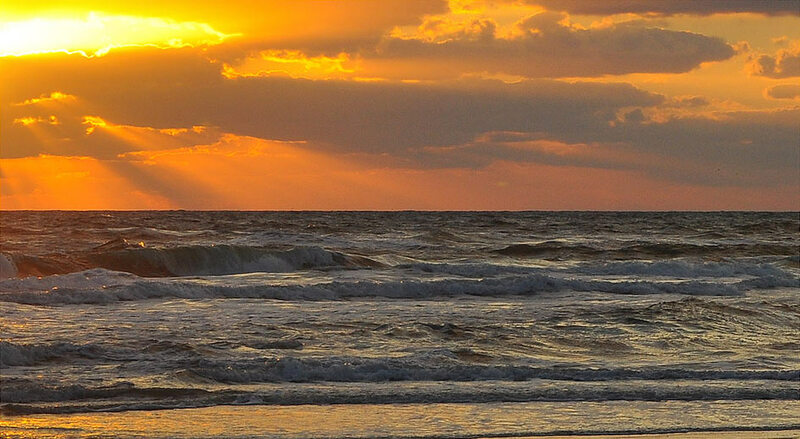 Officials believe that the animal was swept out to sea while trying to cross a patch of water that is in a nearby nature preserve. This body of water would be the Kokkilai lagoon, which lies in the middle of an animal sanctuary and sits between two stretches of jungle the elephant may have been trying to pass. “They usually wade through shallow waters or even swim across to take a short cut,” one official said. Officials jumped overboard in scuba gear and tied ropes around the elephant to initially gain control over the beast. One person actually rode on the elephants back as they dragged the mammal to safety through the water. Once it was brought back to shore, wildlife officials careful inspected the animal for injuries and made sure it would be healthy enough to be released. It is not uncommon for people to see elephants swimming in the ocean or in other bodies of water. They float quite well, and their trunks aid in providing them depth while still being able to breathe. The elephant could have run into a lot of problems had the Navy not intervened. It would have tired easily after struggling so long in the water to stay afloat. It also would have damaged its sensitive skin for being exposed to saltwater for such a prolonged amount of time. It is good that these people stepped in when they did! We are very glad to see that this ocean elephant found its way home and made it back in one piece. 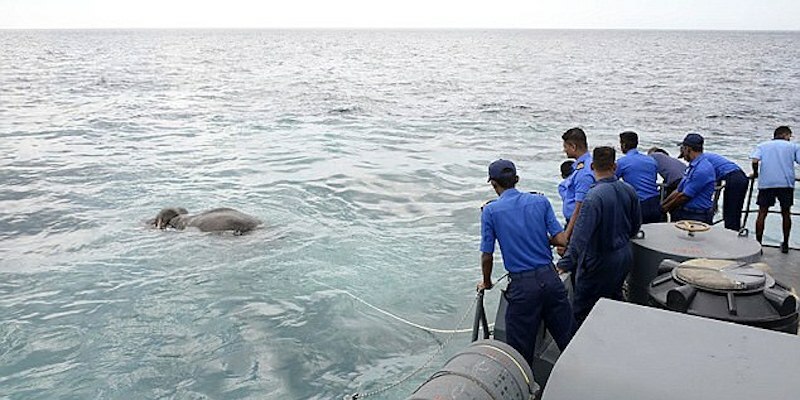 We are also very proud of the Sri Lankan Navy for stepping up in order to save such a beautiful animal. This entry was posted in Uncategorized on July 27, 2017 by RadiantLiving.